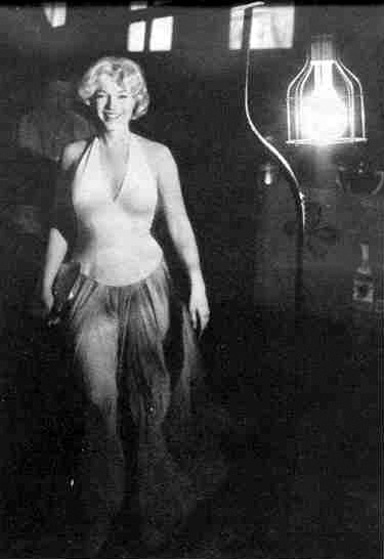 A halter style gown, which Marilyn had custom made for the film. This costume is based on a design by women’s clothier Jax. 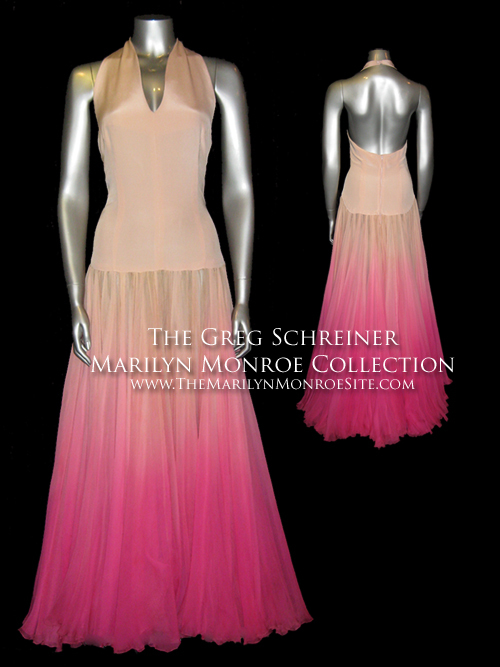 Marilyn had four personal dresses in this same style in red, orange, gray and white. 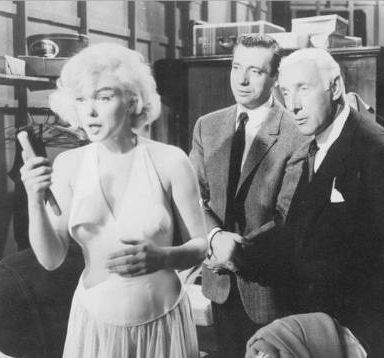 This particular film costume varies from her personal dresses in that the skirt is floor length. Her personal gowns were knee-length.